4). Inactive follicles resulting in thinning and loss of density (this hits so many women of all backgrounds and hair types) There are a lot of great styling techniques that can help hair appear thicker, but to really address the root cause of the problem is the only long-term solution. (1) Is thinning hair completely heredity? 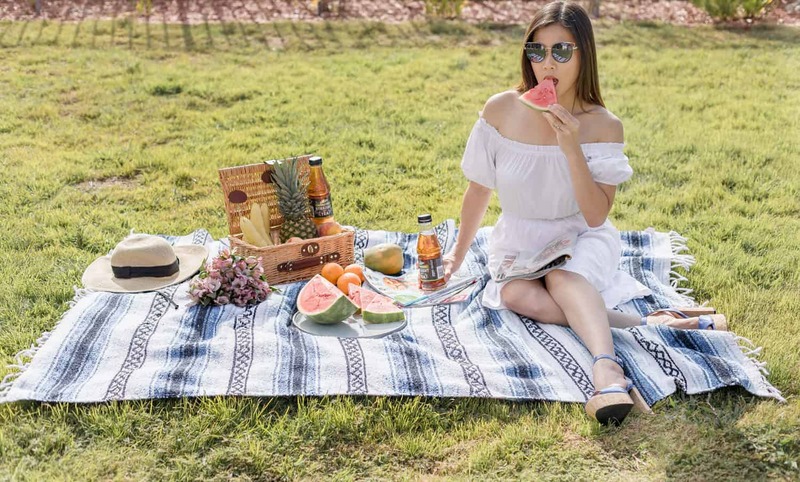 No, Hereditary hair loss is hereditary, however there are several other types as well which can be due to illness or cause by stress or even the by using too much tension while styling hair. (2) Is there anything that someone can do before hair starts thinning to prevent it? If the loss is cause by hereditary loss , then no …not that I know of . However in the other cases yes, quite a lot actually. By reducing stress , eating well , sleeping well , exercise and keeping drug use low , also keeping your hair from over processing it with chemicals or over working it , you can great reduce loss. (5) What is the best advice to prevent thinning hair for those who love to color their hair? Best advice is to work with a trained highly qualified colorist. When you have thinning hair youdont have the same marins of error to work with. (6) Can someone’s diet affect their hair loss? Yes, diet can effect hair and well as the rest of your over all health. Women’s ROGAINE ® Foam does just that. It is the only FDA-approved once daily treatment with 5% minoxidil (the key ingredient proven to regrow hair). Having the FDA behind this product speaks volumes and means a lot to me as far as testing and safety. And to be able to add it to my daily routine is super easy (mornings work best for me but it can be at night, too). That’s such an unobtrusive approach to helping me with one of my problems, I love it! I also love that this product is designed for women as this is not just a problem for men, as the statistics clearly show. Spread the word! 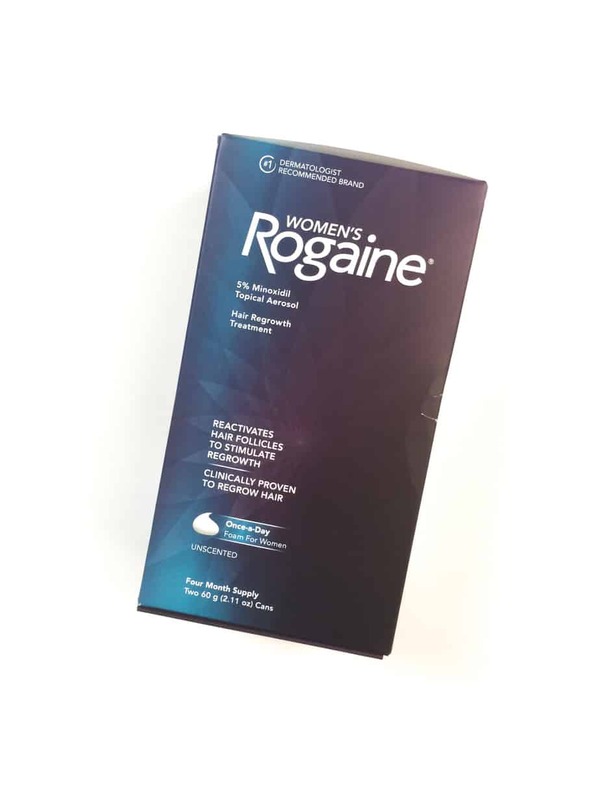 Giveaway : a one-year supply of Women’s ROGAINE® Foam (ARV $150.00) – Winners must be 18+ years old and reside in the US. Products were provided by the Women’s ROGAINE® Foam. I was selected for this opportunity as a member of Clever Girls and the content and opinions expressed here are all my own. 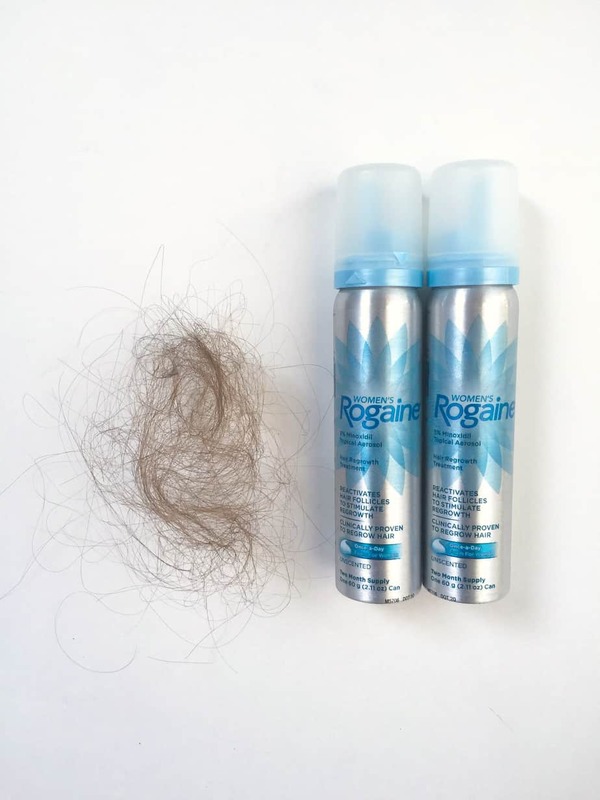 I visited Rogaine Foam and think this is an awesome product to help me with my thinning hair! I can not find the post on Facebook for entry. I have more hair than I know what to do with. I have actually have my hair thinned all the time. Glad there is something to help ladies with issues. Women’s thinning hair and hair loss runs in my family as well. I have noticed my hair starting to thin on the sides and was actually considering trying romaine for women. I wish that knew that there was a hair system that re-grows hair and thickens hair a long time ago. I have a Thyroid Condition and have had thin brittle hair for most of my life. Would love the chance to have thicker, stronger hair and longer hair. Sounds like a useful product! And great giveaway for those who need it! This sounds like such a helpful product. This will be such a confidence booster as women get older! Women suffer from hairfall for a variety of reasons – stress, hormone imbalance, pregnancy and childbirth, etc. Thankfully, there are formulations that help us address this issue. Thanks to Rogaine for giving us women the chance to gain back the luscious hair we had. What a nice giveaway for someone who needs it! I do not need it yet and hopefully I never will but if I did I would trust Rogaine! I lose a bunch of hair after washing it. It then grows back as I have thick hair. I don’t have thinning hair but hair from some of my friends it Rogaine products work will share with them. What an useful product i got so many hair fall so it is perfect for me i will check this out. This is nice, hair loss is such a huge issue with women especially when we reach our late 30’s and 40’s. At least we have products like this to help keep our hair healthy. Great giveaway. I lost so much hair after I had my baby. It’s apparently very common but two year on I still suffer with it. I don’t have thinning hair yet but do worry about it when I see a few extra hairs in the hairbrush. I’m glad to know that there are products like Rogaine available to women to combat the issue of thinning hair if the time should come that I need it. Thanks so much for sharing. Your blog is fantastic! I finished all of the tasks above! I have wanted to try this because my hair has gotten so thin over the years! My older sister actually has alopecia, which means she has very little hair. I wonder if this would work for her? My mom has thinning hair right on top of her head. I’ll definitely be sharing this with her. My grandmother has problems with her thyroid and it affects her hair. I bet she would be interested in this. This sounds great for post partum hair loss! I have been taking 2 tablets a day to help with hair thinning, It is working a little but I still might try this product. Nice giveaway! Good to know that theres these kinds of products for those who need it. About 2 or 3 years ago, a girl braided my hair way too tight and it fell out in the front. I wonder if this would help grow it back. I think my mom could use this. Her hair is thinning. I will check this out. wow, that’s interesting to know that there’s a rogaine for women. I would love to check it out. My mom’s hair is thinning. I will check this out. I need to try this. I have some hair thinning and used Rogaine before, but I wanna try the foam one. Oh my gosh, My hair is thinning so much these days and I can’t figure it out! Rogaine sounds like it does what it was created for. Thanks, I visited their site to learn more…it would be really helpful. This is cool product to know about. With no thyroid, I often lose hair but I’ve never gotten to the point of needing an intervention. However, this is good information to have! Reading the instructions is important. I just read through the tutorial of how to use it, and they make clear to use the directed amount. Using more will not accelerate results, it will only waste product. I am glad to have read that because my wife is the type that would waste it hoping for better results. I visited their site and I must say that I am super excited at the thought of possibly regrowing some hair or at the very least slowing down the loss of my hair. Thanks for the wonderful giveaway!